Every practical test requires that an examiner see the applicant perform all the required maneuvers within established standards. This is really the obvious part of a practical test. What is less obvious are some of the other things that a Designated Pilot Examiner (DPE) is looking for during your practical test. Passing a practical test is not just about mechanically performing maneuvers, but about demonstrating knowledge and skills that are at a level commensurate with the particular rating or certificate sought. This includes decision–making skills, resource usage, and a mental approach to flying that is focused on safety. A part of every practical test standards is a special emphasis area that addresses aeronautical decision-making. Part of being a good pilot is being able to analyze information and make decisions. Is the weather good enough? Is the aircraft airworthy? Is the planned route the best route considering all factors? Examiners give scenarios that include cross-country flight planning, weight and balance considerations, and weather factors to name just a few. Sometimes we combine them. The role of the pilot on the practical test (and every time they fly after that) is to be the decision-maker who will gather all information pertinent to the flight and evaluate the risk of whether ultimately going flying is the right decision. A pilot should exhibit safe decision-making based on a process of consideration. 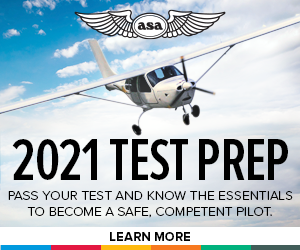 On practical test day, the applicant, not the examiner, is the pilot-in-command. The applicant needs to show the examiner that they could make pilot-in-command decisions if the examiner (or their instructor) were not on board the aircraft to do it for them. Showing that you can be the PIC is a big part of the test, so be the PIC on the day of your test! Take charge and show the examiner that you have what it takes to be the one should be making the decisions to fly on your own. No pilot knows everything, and a good pilot knows when they should be using an appropriate resource for needed information. Having an AFD, appropriate IFR or VFR charts, aircraft POH or AFM documents, or other appropriate resources with you and using them knowledgeably is a good way to show you have the right approach to flying. Reference the AFM or POH to calculate aircraft performance data. Refer to charts to plan the assigned cross-country (if applicable) and know what information on the chart affects the planning. Have a current FAR with you to look up any regulatory questions you may have. Knowing how to use these resources is as important as having them available. Understanding how to use them all will show the examiner that you are capable of interpreting these resources after you pass your test. As important as anything else, a focus on safety in all operations will put the right foot forward on every practical test. Don’t fly in unsafe conditions. Don’t operate the aircraft in a way the is contradictory to manufacturer’s or FAA regulations and recommendations. Think about the safety implications of your planned operations. Display a willingness and a desire to operate safely in all your future operations. An examiner that believes the applicant is going to be careless in their operation of the aircraft, unsafe as they fly with their passengers or by themselves, or negligent when it comes to following rules and regulations is going to be far less likely want to pass an applicant. Demonstrating a desire to safely operate shows and examiner that the applicant is worthy of the rating or certificate they are seeking. Flying is as much about attitude and behaviors as it is about physical skill and knowledge development. The approach to flying an applicant displays is as much what an examiner wants to see on the day of the practical test as is the rest of the requirements that must be completed.